The Clean Seas Odyssey is a new initiative driven by Rebecca Sykes, a senior manager of Technology Innovation at Lloyd's Register, who leads teams to develop services in renewable energy. Sykes has published the findings of a four-month, 1000-mile sailing journey that aimed to understand the extent of the plastic problem in the oceans. With an estimated 150 million tonnes of plastic in the oceans across the globe, Sykes’ aim was to promote the importance of the circular economy for non-biological materials, where the packaging and contents are designed to be “used, reclaimed, re-made and used again in a near infinite cycle”. Sykes works within the maritime and food sectors of Lloyd’s Register. “Plastics make up 85 per cent of beach litter worldwide, 61 per cent of which are single-use plastics and mostly linked to the food industry such as crisp packets, sweet wrappers, food containers and cutlery. This poses a physical threat to wildlife and toxicological damage to wildlife and humans,” she says. Sykes, along with her partner, embarked on a four-month journey around the English Channel, to meet with various stakeholders to understand the issue. “On the way we met and interviewed professors and scientific researchers, waste management experts, artists, experts in the circular economy and economics, business managers, environmental charities and community leaders to learn from their expertise. With the crew’s help, we have also contributed to primary research on microplastics in association with Birmingham University, collecting over 68kg of sediment from 13 locations in five river estuaries and two island beaches,” explains Sykes. In response to Sykes’ findings and growing awareness about the issues of ocean plastics, Lloyd’s Register has committed to producing products that have less impact on the environment and working in a more sustainable way. The organisation has also become a founding member of the UN Group for Sustainable Ocean Business. 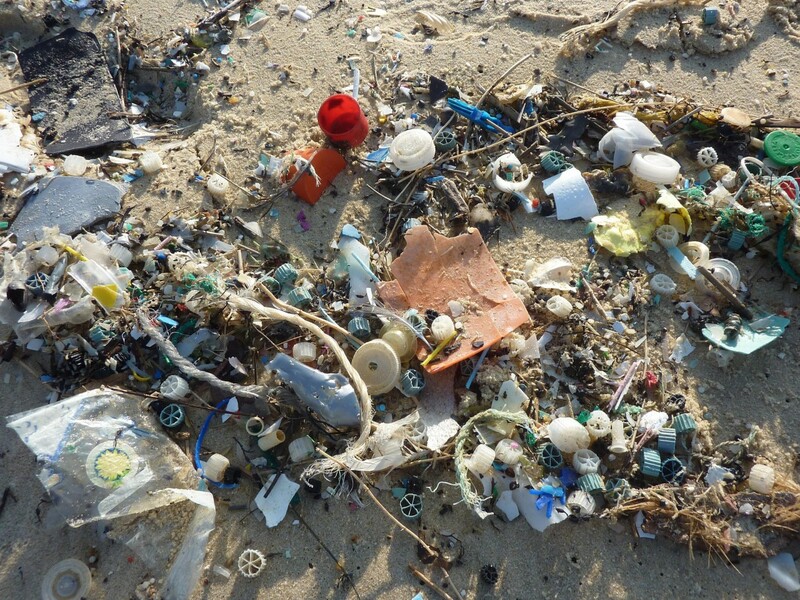 “The amount of plastic waste in our seas and along our coastlines is reaching crisis point. It’s affecting the oceans and the creatures that live there and the evidence points to concerns for our health. We couldn’t bear to stand by, idly waiting for ‘someone to do something’,” she concludes.